1. BEAUTYMIX: Purchase any 3 beauty items for S$10 (mix and match). End date unknown. 2. The Shopee Great Summer Sale allows shoppers to enjoy 20% off storewide at La Roche Posay, up to 70% off storewide at Triumph, up to 50% off storewide at Bio-Essence, up to 71% off storewide at Delsey and more. Valid from 9 to 16 Jun 2018. 3. Shopee Great Summer Sale bazaar: Everything below S$15. Use code SALE for additional 15% off (capped at S$5). 4. WELLNESSFEST: Enjoy $15 off with a minimum spend S$60 on Health & Wellness category. 5. Get deals at only S$1 when you pay with Singtel Dash. Offer ends 5 July 2018. 6. SENNGSS1: Get 20% off when you spend S$100 or more at Sennheiser official store on Shopee. Discount is capped at S$20. Valid till 5 July 2018. 7.TRIU15OFF: Till 5 July, enjoy 15% off with a minimum spend of S$80 at Triumph official store on Shopee, capped at S$15. 8. NATUFA30: Get 30% off with a minimum spend of S$10 at Nature’s Farm through Shopee. Offer ends 30 June 2018. 9. Get 30-Day Bike Pass by ofo for only S$0.25 (U.P. S$18) at Shopee. Only one redemption per user, available till 31 July 2018. 10. From now to 25 June, Citi cardmembers enjoy S$5 off upon checkout (min. spend $40) with your Citibank card. Each cardmember can make 1 redemption per day. 11. 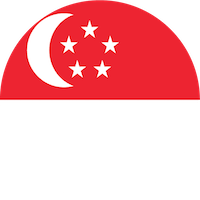 HSBC7NEW: Get S$7 off sitewide at Shopee (new customers, min. spend s$15) or HSBC10OFF to get 10% off (existing customers, capped at S$5), when you check out with a HSBC card. Valid till 30 June 2018. 12. OCBCNEW7: Get S$7 off (S$15 minimum spend for new customers) or OCBC3OFF for S$3 off (S$30 minimum spend for existing customers), when checking out with an OCBC card. Valid till 1 July 2018. 13. UOBNEW7: For $7 off ($15 minimum spend, new customers) or UOBTEN5 for 10% off (existing customers, $5 discount cap). Valid sitewide at Shopee, till 30 Sep 2018. Must pay with a UOB card. 14. CITINEW7: Get S$7 off with min. spend of $15 in a single transaction for new users. Existing Shopee customers can get 10% off sitewide with promo code CITITEN5, capped at S$5 discount per transaction. Payment must be made with a Citi card. Valid till 10 October 2018. 15. NEWDBS7: Get S$7 off sitewide for new customers (min. spend S$15) or DBSTEN5 for 10% off (existing customers, capped at S$5). Offer ends 31 December 2018. 16. MBNEW7: Get S$7 off sitewide at Shopee (new customers, min. spend S$15) or MBTEN5 to enjoy 10% off (existing customers, capped at S$5). Must pay with a Maybank card, ends 31 December 2018. 17. NTUCNEW7: Get S$7 off your total bill with a minimum spend of S$15 (valid for new Shopee customers) or NTUCEX4 for 10% off total bill, capped at S$4 (valid for existing Shopee customers) for NTUC members. Valid till 31 Dec 2018. Will you be using any of the Shopee promo codes Singapore 2018? Know of any more? Leave a comment below. Find more awesome deals here.